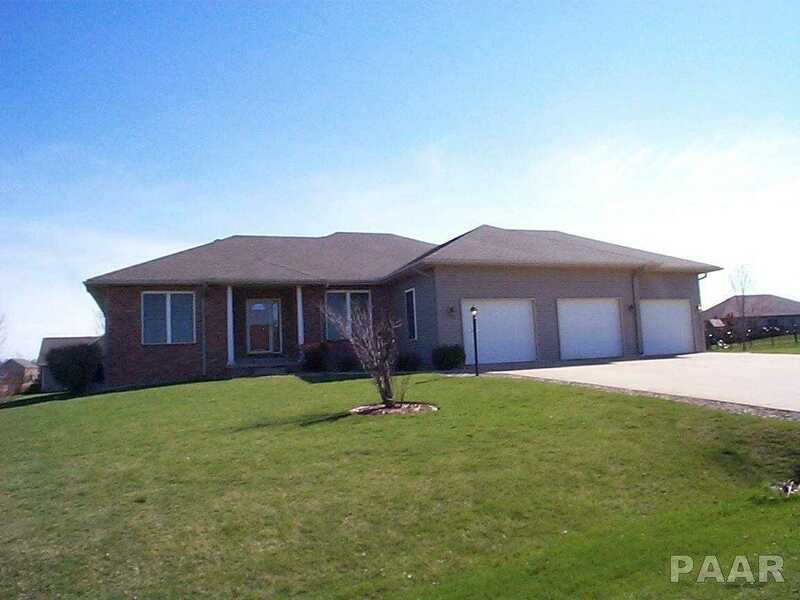 Large split bedroom ranch in beautiful condition. Full oak kitchen, large island breakfast bar, granite counter tops and pantry. Den could be formal dining room. Spacious master, dual sinks, walk-in closet. Open family and rec room, utility room 18.6×14 insulted and drywall inc oak cabinet, 10.2×23.9 storage room with sump and alarm, add’l 22.6×17 possible 4th bedroom with egress window, 16×11 brick patio, new roof-2016, kitchen appliances new in 2014. Subdivision pool, tennis courts, clubhouse and playground. Extra entry stairs to basement from 3 stall garage. Owner present for all showings. Please, send me more information on this property: MLS# PA1203734 – $259,900 – 302 Cottingham Lane, Germantown Hills, IL 61548. I would like to schedule a showing appointment for this property: MLS# PA1203734 – $259,900 – 302 Cottingham Lane, Germantown Hills, IL 61548.